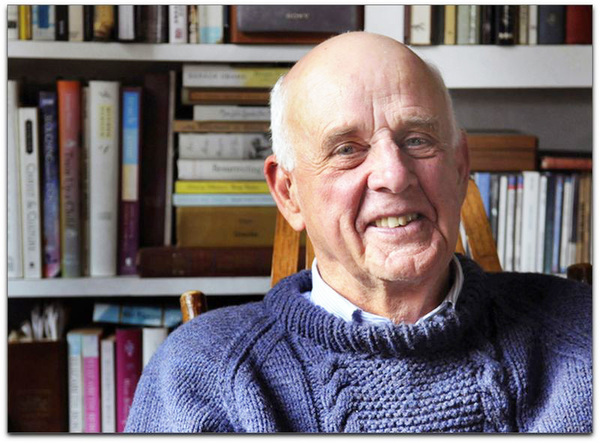 The documentary "Look & See: A Portrait of Wendell Berry" will be screened at 7 p.m. Friday, May 4, in The Cole Art Center @ The Old Opera House in downtown Nacogdoches. NACOGDOCHES, Texas - The Stephen F. Austin State University School of Art and the Friends of the Visual Arts, in partnership with Austin Heights Baptist Church, will present a free, one-night screening of the documentary "Look & See: A Portrait of Wendell Berry" at 7 p.m. Friday, May 4, in The Cole Art Center @ The Old Opera House in downtown Nacogdoches. "Look & See" revolves around the divergent stories of several residents of Henry County, Kentucky, who each face difficult choices that will dramatically reshape their relationship with the land and their community. The film explores the agrarian philosophy of American novelist, poet, environmental activist, cultural critic and farmer Wendell Berry. The film, which is directed by Laura Dunn and Jef Sewell and co-produced by Robert Redford, is being co-sponsored by Austin Heights as part of the church's 50th anniversary. "Austin Heights is co-sponsoring this film because we feel it is important for East Texas to learn more about Wendell Berry," said the Rev. Kyle Childress, pastor of Austin Heights. "Berry is a Kentucky farmer who has farmed the same small place for nearly 50 years just down the road from where he was born. He is a highly respected author who in 2010 was awarded the National Humanities Medal by President Obama and in 2012 delivered the prestigious Jefferson Lectures at the National Endowment for the Humanities. He has written more than 50 books in fiction, non-fiction and poetry. Considered by many as the father of the modern local food movement, Berry has long been an activist and critic on the environment and agriculture as well as wider issues of culture." According to information at lookandseefilm.com, in 1965, Berry returned home to Henry County, where he bought a small farmhouse and began a life of farming, writing and teaching. This lifelong relationship with the land and community would come to form the core of his prolific writings. A half century later, Henry County, like many rural communities across America, has become a place of quiet ideological struggle. In the span of a generation, the agrarian virtues of simplicity, land stewardship, sustainable farming, local economies and rootedness to place have been replaced by a capital-intensive model of industrial agriculture characterized by machine labor, chemical fertilizers, soil erosion and debt - all of which have frayed the fabric of rural communities, the website states. Berry has watched this struggle unfold, becoming one of its most passionate and eloquent voices in defense of agrarian life. "For me personally, as well as Austin Heights, Berry is an important influence," Childress said. "He was writing 40 years ago about the importance of place and of settling down and putting down roots, caring for our place, and helping create and nurture community. He was writing about being good neighbors with one another but also good neighbors with all of creation." Filmed across four seasons in the farming cycle, "Look & See" blends observational scenes of farming life and interviews with farmers and community members with evocative, carefully framed shots of the surrounding landscape. "This year is Austin Heights' 50th anniversary, and we thought that helping bring this film to Nacogdoches would be a way to help celebrate our shared life over these years as well as sharing it with others." "Look & See" was the 2016 winner of the William W. Warner Beautiful Swimmers Award at the Environmental Film Festival in the Nation's Capital, the winner/grand jury prize recipient as Best Documentary Film at the 2016 Nashville Film Festival, and the winner/special jury award recipient for Documentary Feature with cinematography by Lee Daniel at the 2016 SXSW Film Festival. This screening is part of the School of Art's monthly Friday Film Series and is sponsored in part by William Arscott, Nacogdoches Film Festival, Karon Gillespie, Mike Mollot, David Kulhavy, Brad Maule, John and Kristen Heath, Galleria Z, Jill Carrington, Jean Stephens, Jim and Mary Neal, Richard Orton, Nacogdoches Junior Forum and Main Street Nacogdoches.